From 23 June to 2 September 2018 a major international exhibition is preparing to welcome visitors and tourists: "Maccagno in watercolour" is the title of the event hosted at the Civic Museum Parisi-Valle in Maccagno which includes the participation of watercolour painters from Italy, Australia, Belgium, Poland, USA.
" In a year that we have already had the opportunity to say it assumes great symbolic value for us, we could only give space to this important exhibition that fulfills the twenty years of activity of our Civic Museum – say the Major Fabio Passera and the Municipal Councilor delegated to cultural events Alessandro Fazio – We like the idea of an exhibition of watercolours, an event with an international touch thanks to the exhibition of artists coming from different parts of Europe, but even from very distant countries of the world. At the same time we will have the opportunity to see the artists painting live in capturing the most beautiful views, the most characteristic glimpses of our magnificent territory, to watch painting demonstrations and to participate in workshops performed by the French Master Marc Folly guest of honor of this exhibition with two works on show. For the Municipality of Maccagno with Pino and Veddasca is another opportunity to highlight the beauty of our country, a real pearl set on the shores of Lake Maggiore. The commitment that we have always put in culture sees us once again at the center of this project: we want to thank Giovanni Carabelli, for many years President of the association and a great friend of Maccagno. But we also like to underline the presence in the Museum of Elisabetta Cornolò, special guest of the Museum and, since 2004, enrolled in the Movimento Madì Internazionale ". 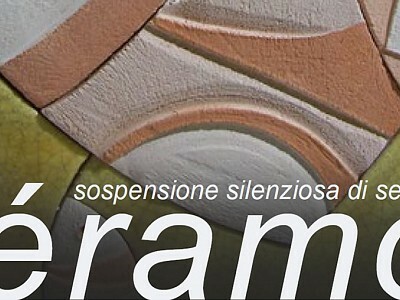 The watercolours exhibition, promoted and curated by the Associazione Italiana Acquerellisti and Clara Castaldo, will not be closed within the walls of the Museum but will involve other places of Maccagno, offering the public live demonstrations of this peculiar and fascinating painting technique. The Associazione Italiana Acquerellisti, which presents the selected works to the public, was founded in Milan in 1974. It soon spread in Italy and abroad and organized exhibitions and events at national and international level. It is co-founder of the European Confederation of Watercolour Societies, the international network that brings together similar associations from 13 European countries. The main purpose of the Association is the promotion of the ancient technique of watercolour painting. The AIA favors pure watercolour that means water and colour only without the use of other components, a difficult technique that does not allow for second thoughts and corrections.